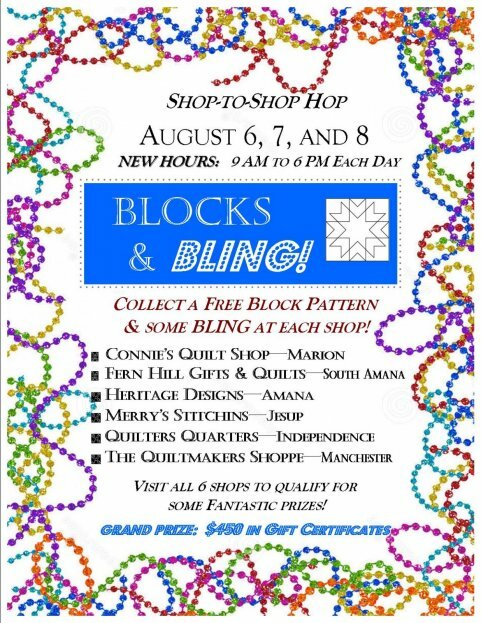 Be sure to join us for our annual Shop-to-Shop Hop this Thursday, Friday, or Saturday! Extended shop hours 9 AM to 6 PM each day. Also...SPECIAL NOTE: Our Return the Favor Charity Sew Day has been changed for August to the 18th. We will not meet on the 11th. Join us as we plan for our bake sale and do some sewing for RTF!